A while back I started a new segment called Winterest, where I show you things I try to do that I find on Pinterest. Some are good, and some are fails. Most are fails. 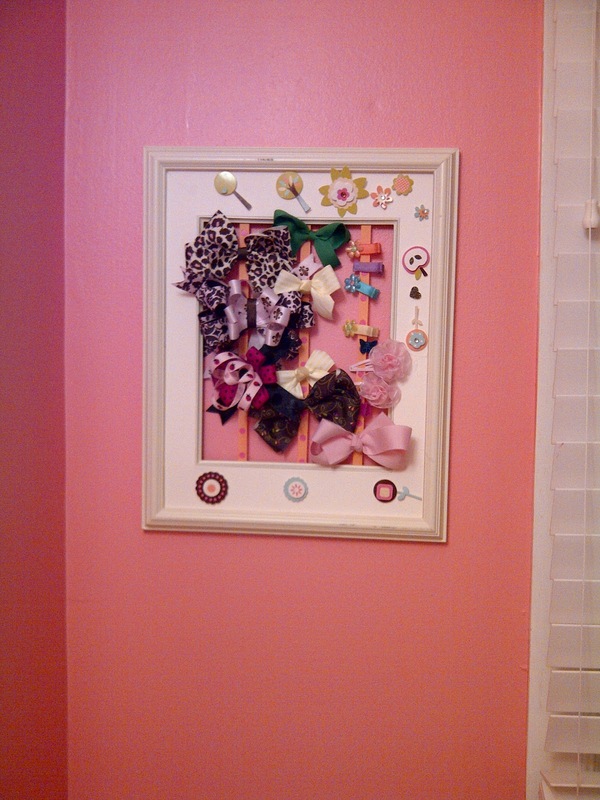 ...a bow holder for the bathroom. Now Nick has a place to hold all of his bows. The pink leopard one is his favorite. He says it brings out his eyes. I bought the frame and ribbon at Wal-Mart, and the stickers from Art Mart. Ellie and Lila helped by picking out the frame, holding the ribbon for me and putting on the stickers. Hannah - I like it! Hey Khale needs one for his hair stuff too-think you could make another hehe!